Skmana Lakes lie just north of Loakin-Bear Creek Rd., 14 km from the village of Chase or 8 km off the Adams Lake Rd. The two lakes and surrounding area offer a delightful multipurpose recreational area with skiing, snowshoeing and sledding in winter; camping, fishing, hiking, biking and horseback riding in summer. In early logging days, Adams River Lumber Co. diverted the creek, damming the lake to hold logs for a flume that transported logs down to the Adams River. Later, the area was used as a Japanese work camp during WW11 (the old buildings have been bulldozed) and a biathlon training area was set up (although there is no evidence of its actual use) in the 1970’s. The origins of Skmana Lakes as a winter recreational area began in the early 1980’s, when a group from Chase and Pritchard, including the Spencer, Crema, Clark, Lovlin, McLellan, Hopland, Grube, Hutchings and Boscher families, were searching for a winter recreational area for cross country skiing and a tobogganing hill. The first area they tried was the Neskonlith meadows and they skied and tobogganed there for a few years. Jean Jenks, along with sons, Hamish and Ian, provided ski lessons for children. The area was not satisfactory due to the early disappearing, and sometimes absent, snow. Roger Behn, a teacher from the Chase High School who had been instrumental in planning Biathlon at Skmana Lakes, had some good maps and it was soon discovered that Skmana Lakes lay in a snow belt. An informal recreational area was set up at Skmana Lakes. To enable the club to track the ski trails, Don and Eileen Boscher supplied a snowmobile. The home fashioned tracking equipment was such that someone had to sit on it to weigh it down, a very precarious perch. When the snowmobile turned out to be inadequate, the Boshers lent the club $5000 for the purchase of a Yamaha snowmobile. The club, through fundraising which included logging and later through assisting at casinos, was able to pay off the debt. An old cabin was donated by Quaaout Lodge, hauled to Skmana and put on the west side of West Skmana Lake near the road to the Forest Service Recreation Site. It made a cozy warm-up hut until 2001, when it was burned down by vandals. A new hut was built down in the meadow where it is not accessible to road traffic. The builders of the cabin were John Thornbury and George Carlin, with the assistance of many club members. With the money raised from casinos, the club was able to afford better tracking equipment. Ted Kay, who was president at that time, was instrumental in the purchase of a bombardier and trail groomers to track the trails. He did the tracking for many years and looked after the maintenance of the equipment, a position which George Carlin took over. Presently, there is a team of volunteer groomers and track setters who keep our trails in excellent condition. The old Bombardier served the Skmana Ski Club for over 20 years and was replaced by a Ginzugroomer and new tracking equipment in 2010. The fundraising for the new equipment was spearheaded in the capable hands of Brian David, then president of the club. 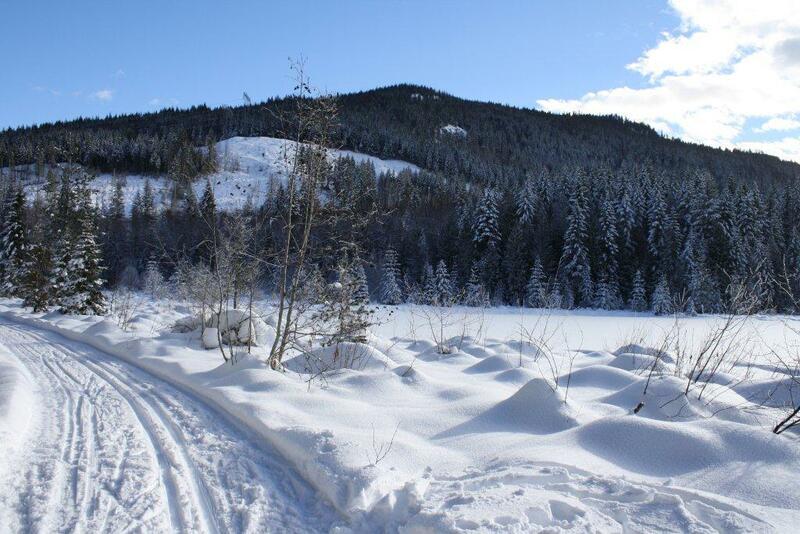 Skmana Cross Country Ski Club has been a member of Cross Country B.C. for over 22 years. Daryl Spencer was instrumental in the club becoming a society on August 1, 1990. For twelve years starting in 1988, a Jackrabbit ski program was sponsored by Skmana. Several levels of classes were offered and some children placed highly in provincial competitions. In the mid-nineties, there were about 30 children in Jackrabbits and four coaches. A key to the success of the club was the Starting Line in Chase, owned by Brian and Trish David, which, for many years, was an information centre for the club, as well as selling and renting skis. The Jackrabbits program ended when there was a lack of children using the program coinciding with a lack of volunteer coaches. Some of the coaches who contributed were Cathy Hopland, Jim McLellan, Jean Jenks, Ian and Hamish Jenks, Kathy Spencer, Ann Grube, John Thornbury, Michelle Zwolak, Phil MacIntyre-Paul, and Brian Kay. Skmana is a delightful skiing destination. 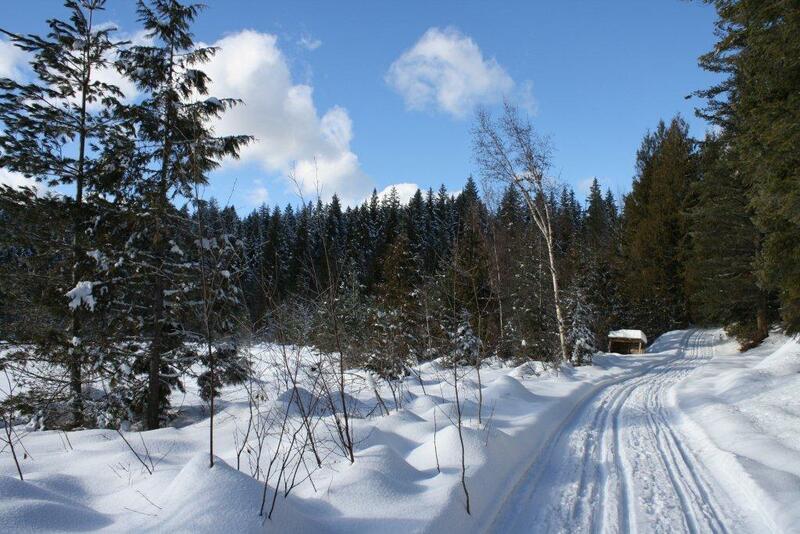 The 18 km of groomed trails wind around the lakes and through forest and meadows along old logging roads. The trails range from beginner to advanced. In addition, there is a myriad of possibilities for those who wish to ski on ungroomed pathways. Trails for snowshoeing are offered as well. With the help of the Shuswap Trail Alliance, substantially more snowshoes trails were opened in the 2011-2012 season with more being opened afterwards. To reflect the growing enthusiasm for snowshoeing, the club changed its name to Skmana Cross Country Ski and Snowshoe Club. Tobogganing hills can be found next to the parking lot and another small one is near the warming hut. 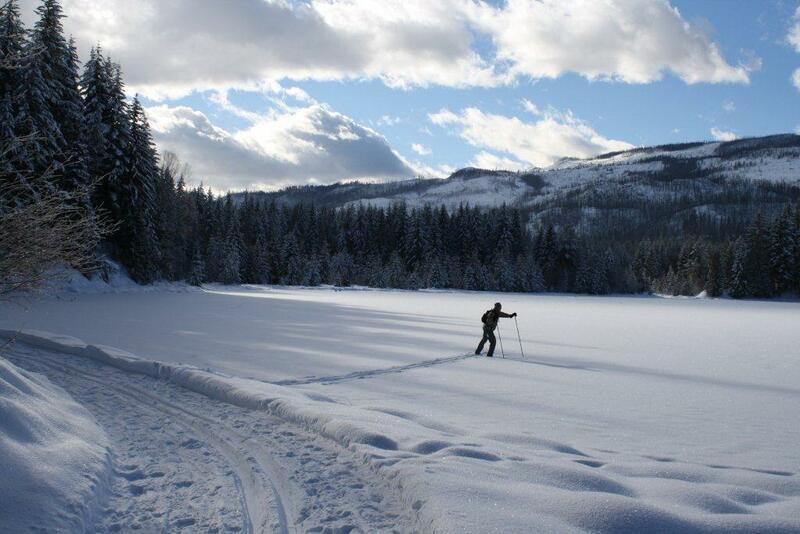 The Skmana Lakes area is co-managed between Recreation Sites and Trails BC and Skmana Ski and Snowshoe Club. A Forest Recreation Site is on West Skmana Lake with picnic tables and toilets. Trail maps can be picked up from the Chase Information Centre. What has sustained Skmana Ski Club for more than 30 years are the many volunteers who have given so much of their time and energy. They are too numerous to mention, but those who have been exceptional, in addition to those mentioned earlier, are: Jim McLellan, Cathy Hopland, John Thornbury, George Carlin, Ken Sparrow, Ron Fairhurst, Ken Shaw, Darcy and Patricia Simpson, and Brian David. The one person who has been a member since Skmana Ski Club’s inception, supported the club in all its endeavours, and continues to do so, is Eileen Boscher. Members come from the surrounding areas of Chase, Adams Lake, Pritchard, North Shuswap and Sorrento with many guests coming from further afield. 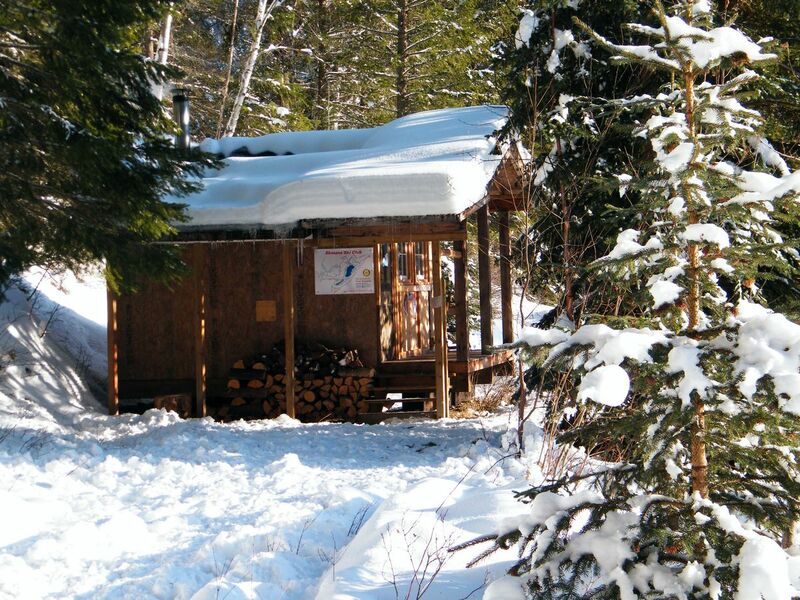 Skmana Ski and Snowshoe Club is a small and friendly club. Past events have seen Christmas being celebrated with a potluck, complete with mulled wine and a live candle tree to sing carols beside. Valentines Day featured a chili potluck, mushy valentine cards and an evening ski. Check out our Calendar of Events for what is planned for this season! Skmana remains a magical area for winter and summer recreation — a bit off the beaten track — a place of solitude and peace. We need people for a wide variety of jobs, if you have a special skill and would like to volunteer your expertise, reach out to us on our contact page. We would love to have you on board! Fundraising Coordinator – Includes everything from Corporate donation requests to bottle drives and silent auctions. This activity can be done anytime during the year. New ideas are welcome. Trail Grooming – Includes operating snowmobiles and pulling grooming equipment as well moving snow manually and tree cutting and clipping. 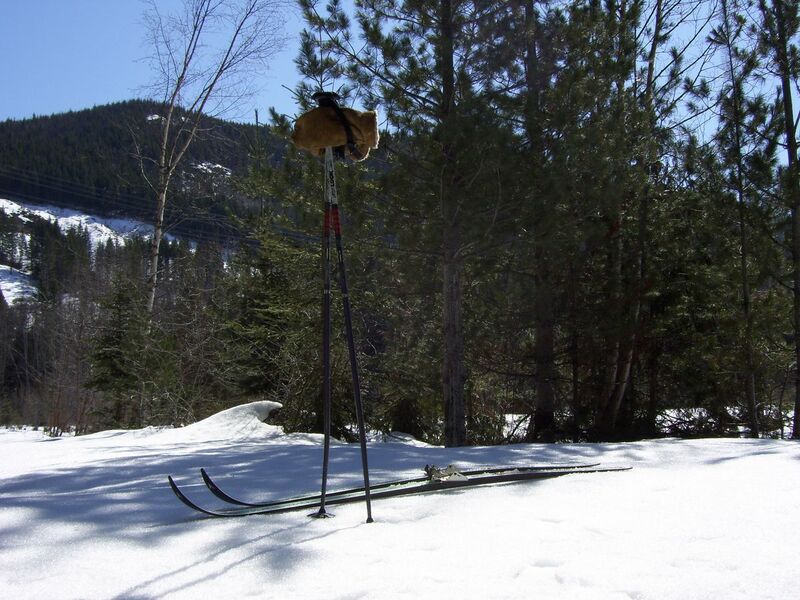 Generally trails need grooming 2 – 3 times per week, depending on snow conditions and new snow falls. Activity Planner – Determines and organizes on hill activities, including advertising the events and attending as host. Parade Decoration Crew – An annual one time event usually in November during Chase Christmas Activities. Membership Drives & Processing – Responsible for advertising for new members as well as collecting enrollment forms and collecting fees.